The troop is looking forward to a banner year with four potential Eagle Scouts ready to take their place in the Eagle's Nest. James Robert Adams passed his Eagle Board of Review this week and is the first Troop 50 Eagle of 2016. James Robert is a founding member of the troop from 2012 and is an Auburn High School Senior who will graduate this May. James Robert celebrates his completed Eagle Board of Review with his family. 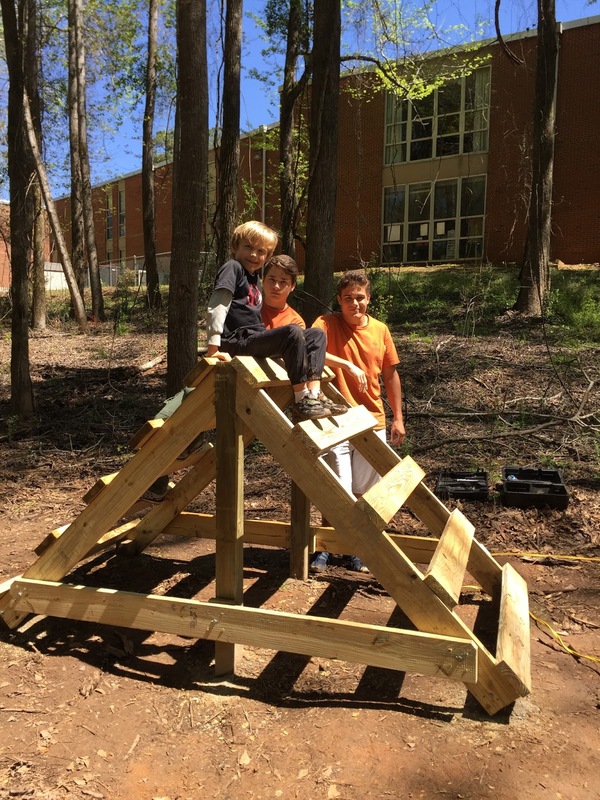 For his Eagle Scout service project, James Robert constructed an obstacle course and other play elements at Cary Woods Elementary School in Auburn. 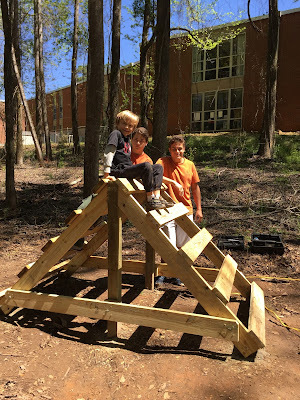 The obstacle course consisted of three elements including a tire traverse, a balance beam, and an A-frame climbing wall. 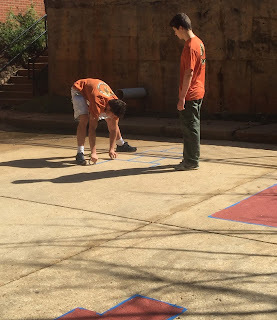 Other components included two hopscotch and two four-square layouts that were painted on an unused parking area behind the school. A chain barrier was also installed to block off the old parking lot. Concrete anchors were created to secure the tires to the ground. Painter's tape was used to outline the elements before painting. A-frame to make sure it was safe to use. The project, which occurred in late March, was beset with with spring rains at times. This created some issues with pouring concrete and pressure washing the parking lot but everything came together in the end. The students of Cary Woods have already been utilizing the course to get some good exercise. More photos of the project are found in the online photo gallery. 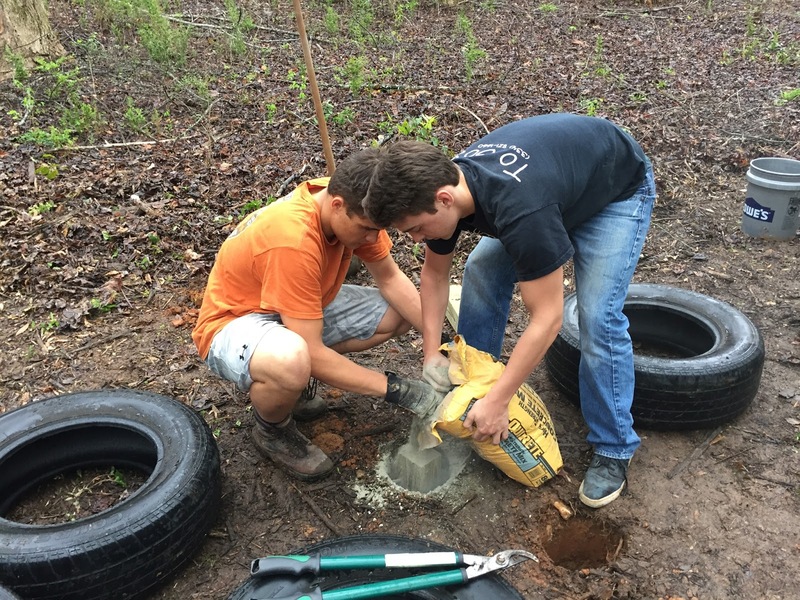 As we move toward graduation, the troop has two more Life Scouts scheduled for the May meeting of the Saugahatchee District Eagle Board. 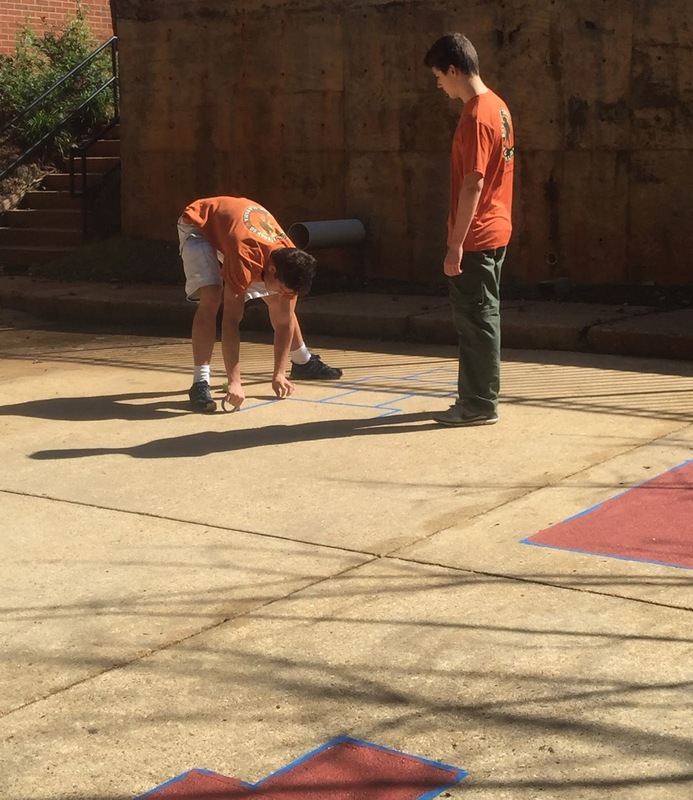 They will join the total of seven Troop 50 Eagle Scouts who will graduate from Auburn High School this spring. We wish them well in their upcoming endeavors and know that they are well prepared for what the future holds.